Sleeps 4. 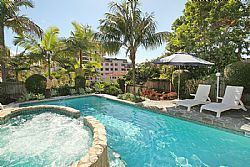 Coolum Blueseas Apartments are perfectly situated in a quiet location just a short stroll to all that Coolum has to offer including shops, restaurants & patrolled beach. The complex provides a Swimming pool with separate Spa area & undercover security parking. The living area leads onto the front balcony and provides ocean views. Features include modern furniture & fittings, ceiling fan, TV, DVD & CD Stereo. Modern kitchen facilities include microwave, dishwasher, electric oven & cook top. The spacious balcony provides ocean views & outdoor dining furniture. 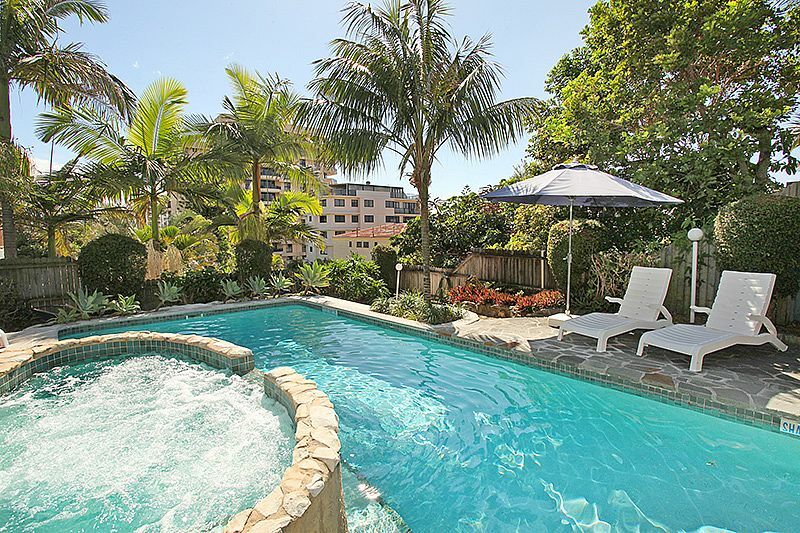 The swiming pool, spa & BBQ area are set among landscaped gardens. The master bedroom provides and ensuite with shower. The bedding configuration of the apartment is 1 Queen & 2 Singles. Both bedrooms provide ceiling fans. This complex is perfectly situated in a quiet position just one street from the beach and walking distance to all of the amenities of Coolum Beach including shops, restaurants & patrolled beach. Bedroom 2: Single Beds x 2, Ceiling fan, Built in robe.